Direct mail is unquestionably one of the best marketing channels available for customer acquisition marketing programs, according to a recent article in Direct Marketing News. Marketers continue to include and expand direct mail in their marketing budgets and, as a result, direct mail spend continues to increase. 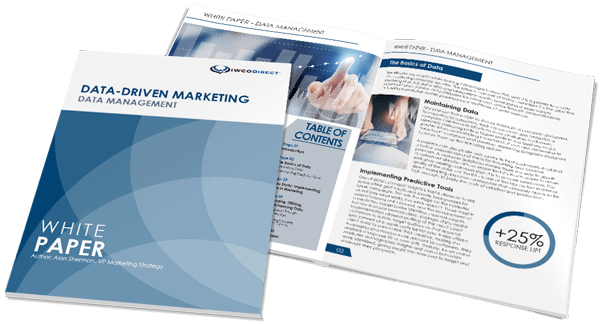 According to Winterberry Group, direct mail spend is predicted to be $45.7 billion in 2015; an increase of 1.0% over 2014 spend. According to marketing intelligence firm, Competiscan, direct mail outreach by the financial sector to Millennials has been growing faster than outreach to any other age group from 2010 to 2014. Credit card issuers are using direct mail to promote mobile options as response mechanisms for completing a credit card application, adapting their direct mail campaigns to the technological preferences of Millennials. IWCO Direct’s financial services clients have told us they are planning to maintain or increase their direct mail volumes for credit card acquisition in 2015. In 2014, credit card acquisition direct mail offers totaled nearly 5.9 billion pieces of mail, according to market research firm Mintel Comperemedia. This is 4.4% higher than the average yearly mail volume of 5.6 billion mailpieces for the years 2012-2014. The top credit card acquisition mailers for 2014 were identified as American Express, Capital One, Chase, Citibank and Discover. However, it isn’t just about acquisition anymore. Credit card companies are also using direct mail to build loyalty among existing cardholders. With the rising popularity of online shopping – and various loyalty programs – cardholders are using their existing credit cards more often rather than opening additional credit card accounts. Among Americans with credit cards, the average number of cards carried is 3.7. According to Creditcards.com, the average cardholder is choosing to carry fewer credit cards and the average credit card debt per borrower has increased to $5,234. Security chips. In credit card acquisition direct mail campaigns, issuers are promoting EMV (Europay, MasterCard and Visa) chips and fraud protection services as key reasons to apply for their card. With a Forbes article predicting that 70% of U.S. credit cards will have EMV chips by October 2015, we expect to see an increase in chip card direct mail communications. Mobile payments. Credit card issuers are utilizing direct mail to introduce their cardholders to new mobile payment options, such as Apple Pay and Visa Checkout, and to promote the additional security benefits these products offer. Personal service. Credit card companies are selecting direct mail as their preferred communication tool to offer concierge and financial planning services. Again, this attracts new cardholders and expands their personal connection with existing cardholders. What’s inside? Textured envelope paper stock, a heavy stock insert, or plastic card creates a unique feel and heightens interest for the potential applicant. Get Carded. Card packages continue to deliver results for marketers. With Drop-on-Demand (DOD) card personalization technology, a card is personalized with the potential applicant’s name, your toll-free number or website as a call to action, and is affixed to the completely personalized mailpiece. Cross-channel marketing. Direct an applicant to your call center or website. Plan ahead to ensure that your website is up to date and your call centers are appropriately staffed. This will ensure the potential applicant is able to quickly and easily apply for your credit card offer. For successful acquisition and loyalty programs, consider these trends and design best practices for your next credit card direct mail campaign. Contact us to learn more about our direct mail services and how they can help you acquire loyal cardholders.